Aaaaaaah!! Lemon! My favorite scent on the planet. Sweet, tart, bakery, zesty… I love every and all variations made. It’s so fresh, clean and bright and always seems to lift my spirits. And best of all… it’ s a perfect fragrance for summer. Pure Integrity is one of my favorite candle companies around so it amazes me I’ve never tried their Lemon Meringue Pie until now. I don’t know why it took me so long. I was in the mood for something sweet and vibrant and that’s when I saw my Lemon Meringue Pie candle sitting on my book shelf. In my review room it went! What did my Lemon Meringue candle smell like? Initial sniff… Mmmmm!!!! My favorite kind of lemon…. a sweet bakery but still fresh. Seriously… is there anything better than a warm bakery lemon scent? If you ask me, I’ll say no way… it’s the BOMB!! Lemon Meringue from Pure Integrity was pretty close to perfection… to my nose anyway. 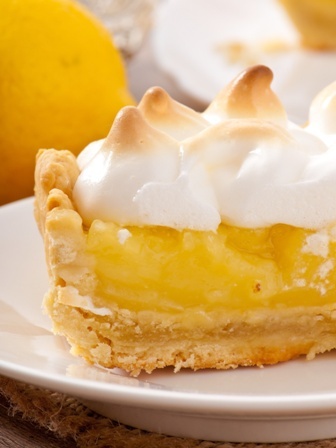 Our Lemon Meringue fragrance is a perfect blend of sun ripened lemons, sweet meringue and that warm flaky crust that we all love! Oh yes please!! I’ll take a dozen! I lit this candle early morning and waited for the magic to begin… it didn’t take long either… a few minutes to really start noticing the aroma and oh my goodness was it wonderful! This candle smelled exactly like the description… pure lemon’y goodness with lots of sweet meringue along with tiny hints of pie crust. YUM!!!! Scent strength – on a scale of 1 to 10, I’d rate this candle a 7. Not as strong as I would have liked but it did give a nice and steady medium throw. Loved this candle, totally recommend if you’re after a yummy lemon bakery scent. How did my Lemon Meringue candle burn? Perfect! Clean burning, no wasted wax. Love the way these candles burn. I’ve always been a fan of Pure Integrity since they continue to produce amazing fragrances. Lemon Meringue Pie was pretty awesome. So much so, I’m already itching to purchase a few more to keep on hand. Lemon can be a tough one to produce. 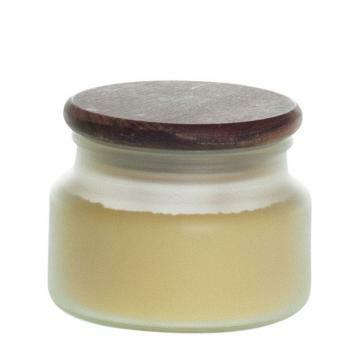 Some turn out chemically, some take on a lemon cleaner aroma or some can take on a fuel smell. Been there, done that countless times. This fragrance however stayed true from start to finish. Highly recommend this one to all you lemon lovers out there!! I’m rating this candle high because it was near perfect. Presentation was great, the scent matched the description perfectly and the burn performance was stellar.